ComEd employees live, work, and play in the neighborhoods we serve – and they give in ways large and small to help our communities thrive. 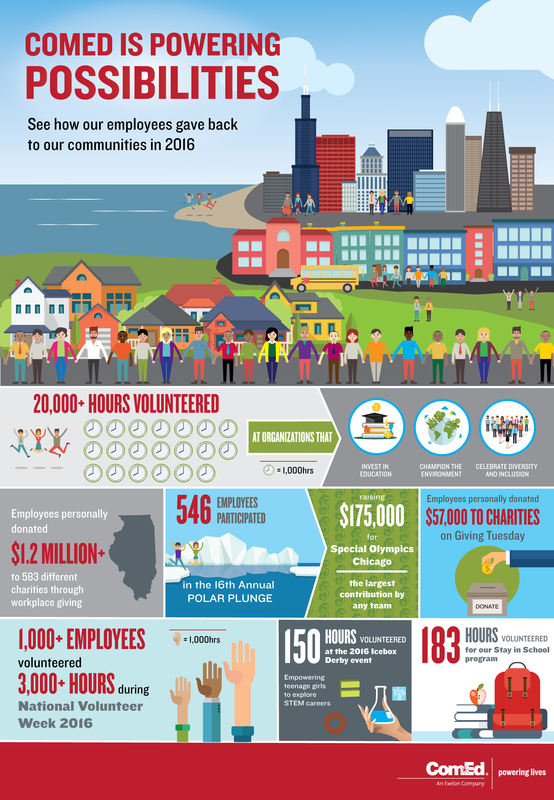 This year, ComEd employees logged a record-breaking 20,000 hours volunteering in communities throughout ComEd’s service territory. Check out how ComEd is powering possibilities in communities across Illinois. To learn more, visit www.comed.com/community.